Taj Mahal Agra News: " For Whom the Bells Toll..Manakamana Temple, NEPAL ! ", 2011.
" India News.." My Mystic Moments..Nepal! ", 19th Feb, 2011. Nepal....1991 : Mysticism or a Communion with the Divine Energy within us, can happen at, any moment of our life. The radiance of that 'moment', can enlighten us at any crossroad of our journey in life..
Years ago, we went on to visit the Holy Shrine of Manakamana Temple..the 'Dream Goddess' of Nepal, for the fulfillment of our wishes. 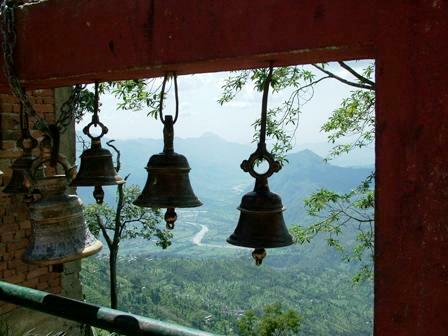 The Hillock Temple, is a very popular pilgrimage in Nepal. 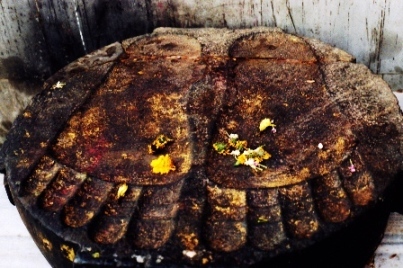 This is a holy shrine dedicated to the Hindu goddess 'Bhagwati'. It lies 100 km, to the west of Kathmandu. It is a steep four hour hike from Abu Khairenin Kathmandu-Gorkha Highway. 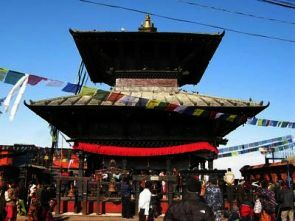 The pagoda style temple is unique in its Ancient Nepalese architecture from the Shah Dynasty. 3km above the Temple ia a the small Shiva Mandir to 'Lakhan Thapa' Gufa, a sacred cave offering, breathtaking views of the Nepal Himalayas ! It is a one night, two days trip, where after the sacred audience of the Goddess..we spend a nite in the small hospitality premises available near the Temple at this great height. What happened that day was a 'miracle'..After our exhausting trek to the Temple, we realized, Arvind had left his wallet in our car parked down below at Khairenin..there was no way out but to trek back again, risking the approaching darkness, our tired limbs, hunger and above all the fear of wild animals on the way ! We managed it purely with the blessings of the Moon Goddess, who happily showered us with enough light and energy to make it back home !..Now a days 'Cable Cars' , are available for those, who cannot take this steep climb. Even today we remember the instructions of the Holy priest. He told us to always keep our Dreams a secret, to be revealed only on fulfillment. That is why we look forward to that 'auspicious day' in the future..when we can with the blessings of our God, 'Share' our vision, when we inaugurate our project, we will tell the World !! Taj Mahal Agra..Dharamshala News..Archives 2010.. Click Here ! Taj Mahal Agra News: " Oh!, Those Bitter Sweet Memories of the Heart !".
" From Dharashala India !" Whether it be in the mountains of Dharamsala India or the ancient legend of the Taj Mahal India..Love will always be eternal. The Taj Mahal Agra, India is the symbol of infinite Love..! Taj Mahal Agra News: " Oh!, Those Bitter Sweet Battles of the Heart..World Cup,2011 !".
" India News.." So What's Special today ?? !" , Dharamshala India, 03rd April, 2011. 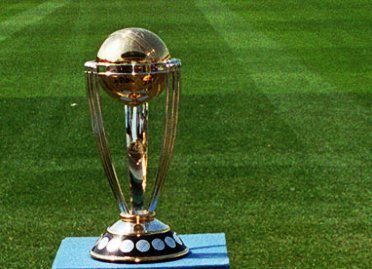 The Indian Cricket Team, did the Nation proud by winning the ICC World Cup, after 28 long years of waiting. In its conclusion, we wish all the participating Global teams, success in their endeavor for the future of this Sports Energetics ! 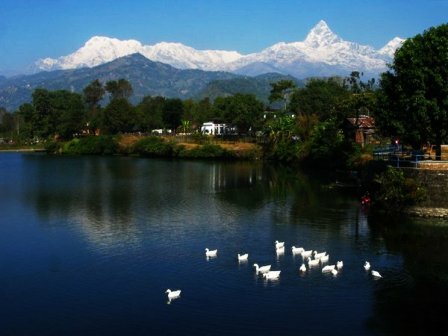 Taj Mahal Agra News: " Phewa..The Lake of Dreams, Pokhara (Nepal)!".
" India News.." My Granny's Faith..A Memoir, Arvind Gurung !" , Dharamsala India, 02nd April, 2011. 1958..1977..2011,..As we grow older,..we look back to our childhood n young days..a memory always fresh as the Taj Mahal Agra, as if it was yesterday. My life goes back with my step grandmother, Smt. 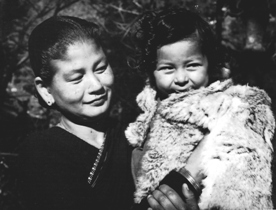 Puran Kali Gurung, who loved me so much, when I was a young child. 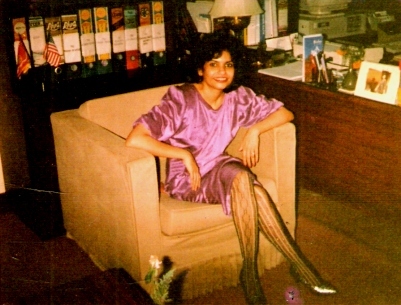 She would always stuff me with warm clothes in Shimla (HP)in the cold winter mornings !..then, she was gone and migrated to Pokhara ( Nepal)..I missed her a lot and went once to meet her with my parents, when I was entering my teens. I was happy to be with her and listen to her wise stories. ..Then destiny again, took me back to her, when I walked out of my home in Dharamsala, after my college graduation. The little time spent with her, was and eye opener for me. Living in her small home, in the nearby village of Pokhara, this independent gutsy lady, journeyed her life alone, for so many years, in peace n harmony. She was popularly known as 'Doctor Baje' ( Doctor Granny) by the local villagers, as she used to buy and distribute freely, the medicines from her salary, working as a nurse in the nearby, Indian Pension Paying Camp Medical Center. She sincerely took care of the health problems around her home. ..One evening, I asked her why she migrated to Pokhara from Dharamsala, India ?? ?..she gave no answer, but what she told me still rings in my ears,.." Your 'karmas'(actions) play a major role in our lives..Dharamsala was her 'Janam Bhoomi'( Place of Birth) and Pokhara was her 'Karma Bhoomi' (Place of Action). It is not important where you were born..what is important is, in which land you finally live and act, which becomes your Karma Bhoomi. You must live your life in discipline, honesty and have compassion for every living beings ! "She spent years, showing her compassion and love, for the people of this small Pokhara Village. When she died, the whole village attended her funeral and the rites were performed by the nearby Buddhist monks of the Monastery..
..A simple soul, but a great soul ! 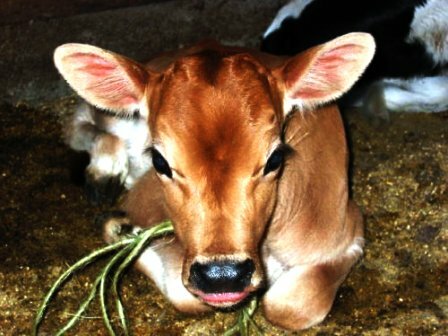 *copyright@ Arvind Gurung - 'My Personal Dairy', 2011. Taj Mahal Agra News: " The Scent of the Mogra!".
" India News.."Faith, like the Taj Mahal Agra is a Universal Flavor" , Dharamshala India! ", 29th March, 2011. Like any girl, I love my 'diamonds', but the eternal euphoria of blooming 'jasmine' buds in our hearts, is just as beautiful. 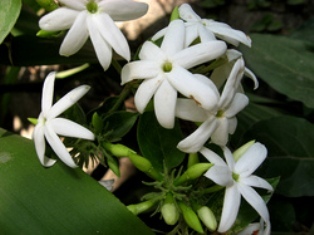 In 2006, we planted a 'Mogra tree'..a jasmine specie, a rarity in the high hills. 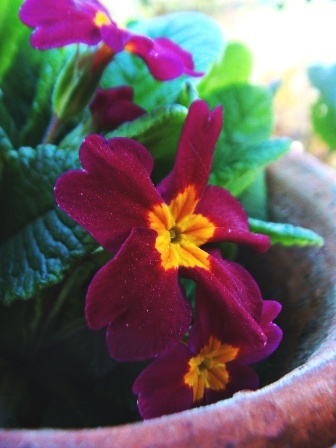 We nurtured it with loving care, almost stubborn in our faith and then, it gave its first bloom. Its fragnance, brought back the heady aphrodisia, of velvet nights n merry times. 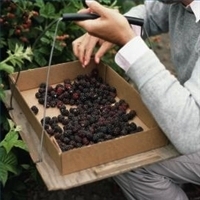 Then as the days went by, we got busy and left its nurturing, in the hands of our staff. In 2007..in a weeks time the tree withered and died, its root destroyed, by an unknown menace ! Many a times, in our carelessness, we take much for granted including, what is very 'precious', in making our lives beautiful. Whether, it is 'human relationships', or our own profession,..we need to respond with dedicated 'care' n 'attention', to make it prosper forever. 'Justice', whether on the level of individual self, or on a Global perspective, works on the principle of, " What we sow, we shall reap. " Justice, if it has to be given, must first start from, 'where' and 'whom', injustice has hurt the most ! It is only fair, that all 'human endeavor', must be awarded, as per merit of what it deserves, 'financially', 'personally' and 'professionally'. As those, who have walked a very long mile, from the last six years, having to 'struggle' sometimes, even for 'mere' basics, the journey, has still not begun !..When it does, we promise 'faith' will be the Universal Flavor of the Season. ..And so, this time when we plant, our young mogra tree, we wish its fragnance, will blosson our lives, forever. 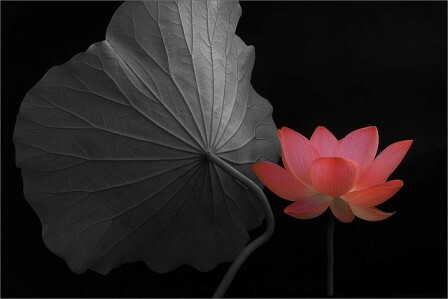 After all, if 'Hope' can be audacious..why can't we..?!" Taj Mahal Agra News: " Faith Alive!".
" India News.." Don't Break Trust, Dharamsala India! ", 23rd March, 2011. ..Every once in a while, we slip and forget, the lessons of the Past! The inimical 'venus', cannot but see the world with the rose hues of the colored lens..
..On 15th March, 2011..we had a confirmed booking from Switzerland n Sweden, Mr Hans Peter Spaar n Ms Karin Scholer, for a two weeks visit to Dharamsala with us. Having been extremely busy sorting things out at our home, Vidya Niwas n our Office,..together with some very confused clients, we were wrapped up with another case of classic booking on the Web ! Ms Anu Duggal also scheduling her visit here at the same time was so muddled n unsure till the last minute that we finally gave up..! ..Much to our surprise both Peter n Karin cancelled their visit on 13th March, 2011..almost a 'NO SHOW" in our travel trade language. Unfortunately in 'good faith' and 'trust' we had agreed, on their request to extend credit and collect payment on arrival in Dharamsala, with prior information on our 'cancellation policy' in advance. ..We were shocked that as per our cancellation policy, when we asked for our retention fees, they have to date, not acknowledged our 'mail reminders'..Today we do not know whether these guests were genuine or fake..! We should have, in all honesty stuck to our old policy of collecting 'full advance' on our reservations, before the arrival dates.. ..There is 'No Network', in the World today which can exist, without 'Faith', 'Trust' n 'Commitment' to each other. While, the financial loss can be borne with fortitude, what is irreparable is, the 'Loss of Human Trust' in each other..! What started with 'Faith' should end with it..'Blind Faith' in its awakening, must see a new 'Dawn' for the Future of Mankind !! Taj Mahal Agra News: " My Story!".
" India News.." Blackberry Journey, Dharamsala India! ", 21st March, 2011. All journeys must begin from the heart and end there, like the legend of the Taj Mahal Agra. There are few moments in our life, when we can surprise ourselves, by taking decisions, which are completely contrary to logic. ..Adopting our baby bull, 'Bon Bon'(Bonnie) was one such journey for us. Against all reason, considering our lack of experience in bull keeping, we succumbed to our hearts wish. His melting big brown eyes were irresistible, begging us for a home and care. Such careless days of wild abandon to merry making in the mountains. Truely if "Inner Peace is the first step towards World Peace"..we all must start this first journey within our own self, seeking our own 'Nirwana'! Taj Mahal Agra News: " No Image Tells the Whole Story!".
" India News.." Clearing the Mist, Dharamsala India! ", 18th March, 2011. The Art of Creating Impressions, is as old as like the Taj Mahal Agra itself. However, no image in the world..can tell anyone the whole 'story'..like the picture of, 'Rural n Urban India'. The 'truth', lies somewhere in between where both life styles, depict the Landscape of India. ..Many a time, we have been asked that, are we, 'Buddhists' ?! Are we a NGO body, working for Social Welfare ? !..most primarily, on many breakfast tete a tete, are we involved with the 'Free Tibet' Movement ?! ..The answer to all queries is simple,... Both, Arvind and me are 'Hindu' by religion. 'Hinduism' has given us our 'philosophy of life'. It has taught us to respect n honor, every religion in the world and because we believe in 'good karma', 'Buddhism' has been our constant teacher. 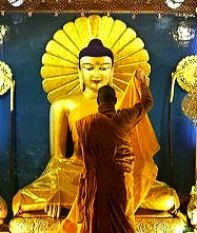 ..As a small commercial enterprise, in "Dharamsala Tours & Travels", we have dedicated most of our work towards contribution of well being to all. The idealogy behind this endeavor, has been solely towards, creating a Universal Economy by, promoting many streams of Industry in our 'Holidays'. We are not part of any International & National NGO body,Social Campaign, Trust, Social Society or Club. We are not members of any religious sect or associated with any particular group of people, as we live in a Global Community today. ..His Holiness the Dalai Lama's sacred teachings are a source of 'inspiration' for us, as our 'lifestyle guru'. However our information on the 'Free Tibet' Movement is extremely limited and does not, in any way 'justify' an 'opinion', which could motivate our involvement for this 'cause'. The content of both our websites, on India and Dharamsala, along with the images in them, do not promote, any product or corporate enterprise. They are purely 'informative' websites. The images and the content are merely a 'reflection' of our honest endeavor to reach to a bigger, 'Global Community' which, share the same interests ! Taj Mahal Agra News: " Mobile Memories!".
" India News.." Dairy Notes..Just Chill "..Sangeeta Gurung, Dharamsala India! ", 16th March, 2011. 14th March, 2011..Best remembered for the jokes, life can play on you..a few booking cancellations, a heavy day with my dear friend, Home PC,..above all, missing the gurgle of my running stream in front of my home, which has not been running from a few days, for whatever reasons ?!.. The hush silence, can be as disturbing, as any noise pollution in a metro city. ..'Home Sweet Home', even on days, when your domestic help leaves you in the lurch, is still..my favorite haunt for cocooning with the birds n a book..! 15th March, 2011..Arvind n me, needed a 'Day-Out', from our work. There were so many pending chores, more so on the Web..However, both of us on this day, chose the Spring Madness of March. Lest, time past us by..we, took out my 'ancient' home ice cream maker. 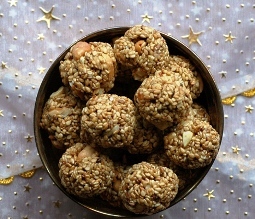 A 'Mid-Summer Night Dream' home recipe, copied from my Mother's diary, served its purpose well, while melting in our mouth. 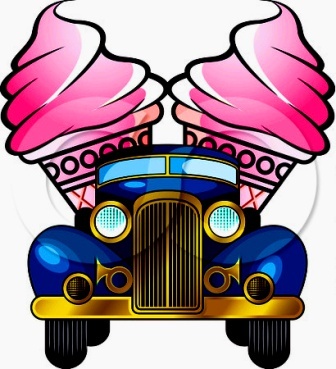 I could not believe it that even, after ages a crunchy ice cream cone, could give us , so much joy. What took the day away, was Arvind's remaking 'stories' of the 'Old Kulfi- Man' n the Village Spring Fairs witch-hunts..we were melting with laughter, till the setting Sun bade 'adios' to us. Like I said,..Home Sweet Home, can be a Place of Discovery..as we went thru the old cook book,..we found out the fascinating history, of 'edible ice cream cone' , invented by a pushcart ice cream vendor on New York's Wall Street named Italo Marchiony in 1903..Such a long 'Freeze Journey', from days gone by.., but that will be my Story, for another Rising Sun..! *copyright@ Sangeeta Gurung..'My Dairy Notes', 2011. Taj Mahal India News: " The Purple Haze!".
" India News.." Fool's Paradise "..Sangeeta Gurung, Dharamsala India! ", 14th March, 2011. The unique 'art of balance' in life, is so much present all around us. With the approaching Festival of Colors..HOLI, one can enjoy the bonhomie of all 'castes n community'..celebrating the rainbow of mother bounty. The canvas of the 'purple haze', reflects the harmony of a 'green' vision, which can either show us the future or, if not tendered in gentle 'care'..destroy us in its 'wrath'! **For that Amazing Power At Your Fingertips..Click the Graphic below ! Taj Mahal Agra News: " Starry Nights!".
" India News.." Awakening the Magic "..Sangeeta Gurung, Dharamsala India! ", 09 March, 2011. This is a simple story of a heart warming memory like the Taj Mahal Agra, of a thousand stars, which came alive one summer night ! Way back in Kathmandu, it was the opening of the one n only five star discotheque in the buzzing capital of Nepal,.."Galaxy" ! 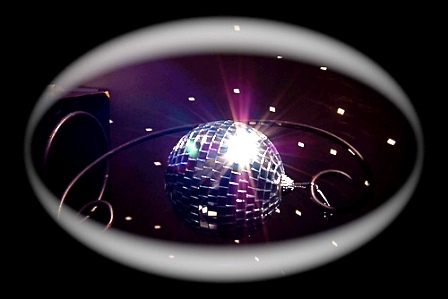 ..We got everything going in toe, except our musical band n DJ, wanted my shoes to have a 'silver' lining, to bring into effect, the aura of a 'thousand stars', rotating around us. With much hesitation and persuation from my friends..we got the ball going. As promised by our DJ..the Night was magical,..the Moment was 'alive' n pulsating,.. with the music n stars ! ..The magic of that night was re-lived, when my young daughter..dug out the 'silver shoes' for her 'dancing lessons'! Truely,..time can stand still for us, in these mystical memoirs, where the 'young' n the 'old'..share the same, Dream !! Taj Mahal India News: " Rising above the Murk,Dharamsala India! ", 2011.
" India News.." Diary Notes "..Sangeeta Gurung, Dharamsala India! ", 03 March, 2011. On the whole, February was a very cold month,..there was too much on the cards, with 'multiple invitations', for trade conferences, training seminars and travel events, celebrating their 'maturity'. We thought about it..somehow, the art of spontaneously marking an 'appointment' on our travel planner, has been lost over the years. Time in all its changing seasons, has taught us the 'wisdom' of measuring all the 'pros' n 'cons'. 60 years of collective tourism experience, between us, did not warranty an investment of 'time' n 'money' from our side for any of these 'events',..which could offer us very little as compared, to what we could achieve with our time here in the 'Himalayas'!..so much work to do , with so little time ahead..!! ..Delhi, the venue for the IATO (Indian Association of Tour Operators) Annual Function at Manesar (Haryana),..was a definite beckoner ! A melting pot of yester years warmth, which in its sweet memory can tug at your heart..like a child and yet, leave you cold in its striding ambition, which spares no one in its urge for achievement. The 'Welcome Plaque-Cards' of many travel associates, have been gathering dust on our shelves for the last six years..makes us wonder, why they have been sent to us regularly, when the booty was no longer 'raining coins', with our travel services not being utilised! It has been almost ten years,.. we could count our business, from all of them, in our fingers, at one go..it was that bad. ..However, we cannot help but remember..many happy times of days gone by..as sales executives on a cold winter day, dear old Mr Zutshi of Zutshi Travels..not allowing us to brave the famous dry chill of Delhi,..stuffing us with hot tea n 'samosas' and watching the Indian Cricket in a 'black n white' TV in his office..! ..So, although we did not grace this event with our much forgotten presence, for all the 'shared laughter' of those good ole times, we wish all our colleagues 'Success' in promoting' a 'New India', to the World, in the 21st century !! 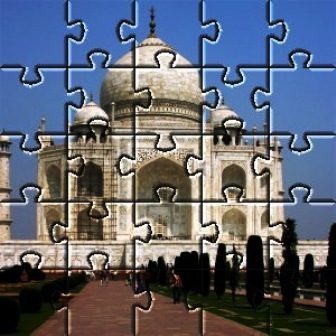 Taj Mahal India News: " Solving the Puzzle, India! ", 2011.
" India News.." Diary Notes "..Sangeeta Gurung, Dharamsala India! ", 25th Feb, 2011. ..23rd February, 2011..Incomplete diary notes and sometimes our life, can be as puzzling as, our childhood 'jigsaw puzzles'..It was a cold bleak day, cloudy n rain at our doorstep..could not even go to the town n it was a relief to be able to be at home and work out some ole 'jigsaw puzzles', lying in our children room. ..24th February, 2011..Too little time and too much of work..At home, with not one moment for a breather ! Old repair works left unattended, can haunt us..like the 'faceless phantom' of our young days..which refuses to die ! Plumbing leaks, stubborn old rosewood furniture, 'broadband' playing hide n seek with the PC..and what more, so many rebirths taking place in one single day. ..25th February, 2011..That very special day in our life, when you do not end up doing any of the things you had planned. So much of 'office' to attend, but whimsical time had me..enjoying the sunshine n the birds. There was a new nest of the Grey English swift and my moments with them could be accounted for the best in my dairy ! Taj Mahal Agra News: " Journey of the Butterly, India! ", 2011.
" 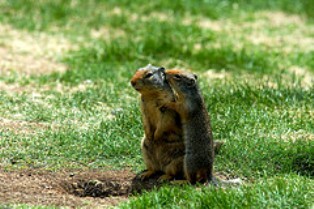 India News.." A Tamarind Love, Dharamsala India! ", 22th Feb, 2011. 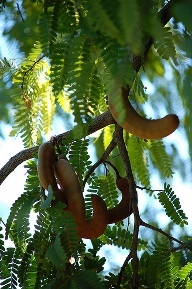 ..Once upon a time in the warm tepid waters of South India, there was an old gnarled Tamarind tree. Its branches it seemed were trying to talk to the sky..so one day, the children who played under the shade and enjoyed its fruit, asked the tree to tell them a'story'. The tree smiled and said.." You are like my branches, always trying to reach for the sky, but the way up is always full of hurdles and storms ! In my young days I had a 'true friend'..a fluttering beautiful 'butterfly', who would never heed my advise and would always be lured away to faraway shores, deep woods and luscious gardens..One day she did not come back to tell her travel story.., but I remembered her words always.., "life is too short to be lived in shades of black n white..like your amorous fruit, it must be tasted in all its sweet and sour flavors of passing seasons of time !! 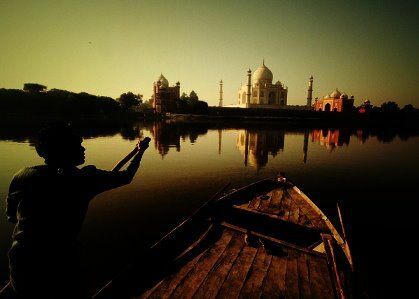 Taj Mahal India News: " Love A Drift, India! ", 2011.
" India News.." Bearing it with a Smile, Dharamsala India! ", 18th Feb, 2011. In the year 2003..we shifted to our new home, 'Vidya Niwas' from Sidhpur to Village-Kandi..after two years of rigorous construction, by our own passion, creativity n will power ! With us we had our, two children and two dogs. ..We had sworn never to take on any more stray dogs..however the two little kennels we made for them..soon saw an onslaught of increasing canine care, with new added pet responsibility ! With six dogs as of now,..we still have many happy moments to remember with them..
2010,..with two kennels, we one day saw in reality the Story of the Desert coming true. Like the Camel, pushing out his owner from his tent..the new dogs literally pushed out the original occupants..out! However our old loyalist 'Julia'..soon took matters in her hands and refused entry to any of the 'freshers' ! 2008,..there was general buzz among the females, with the entrance of 'Blondie', a stray golden Tibetan terrier who, befriended by her owner, soon found her way into our home. We had to find space for her also,, along with the other pets. What happened was that soon our male dogs, completely 'bowled' over by her..gave her their space..! While it is always difficult to take on the responsibility of pet care n expense..with our limited resources, it has been rewarding and nourishing for our heart. ..24th November, 2008 on the eve of a travel conference in Mumbai, very much on our calender..which we had to cancel due to the sudden death of our beloved 'Bozo' ! Questionable in its 'destiny', as he was so young,..the pain of losing him still hurts..but, like we said there are many happy moments, which makes our family..bear it with a smile !! Taj Mahal Agra..India News: " Secret Recipes..Handia Joys, Jharkhand, India! 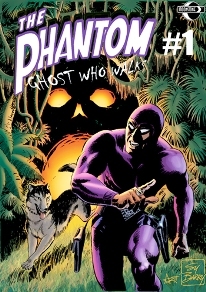 ", 2011.
" Taj Mahal Agra..India News.." The Great Unifier, Tribes India! ", 17th Feb, 2011. In between the 'highs n lows' of the people of India, there are many traditions which unifY the whole community. Festivals n Fairs, celebration n feasting from the Desert Tribes of Rajasthan to the Hill Tribes of Jharkhand..all share a 'common bond' when brewing their country wine together or cooking for an occasion. In our more commercial cities of Delhi, Mumbai, Bangalore, Kolkata, etc, although many things might have changed..the ancient tradition of dance n wine, still does the rounds in a social gathering ! India famous for its Taj Mahal Agra has many ethenic tribes. 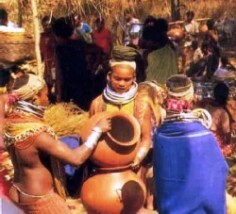 Among the 30 tribes of Jharkhand, the Oraon tribe, celebrate every social occasion..with the famous tribal drink 'Handia'..now commonly found n sold. 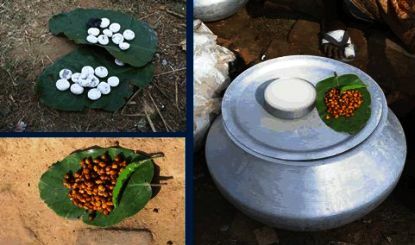 Go to any nook n corner of the famous Woods of this hilly state and you will discover the welcoming sight of women selling this home-made rice wine, under a tree. So much for the parched 'soul', which can find its 'home' here !! Taj Mahal Agra..India News: " I Dream..A Dream, for The New Sun! ", 2011.
" A Vision must have,.. The Racing Heartbeats of the 'Young',.. The Eternity of 'Tomorrow'..! " Taj Mahal Agra...Music in the Skies ! A Dream, can only be big if within it, are the Dreams of the whole Universe. 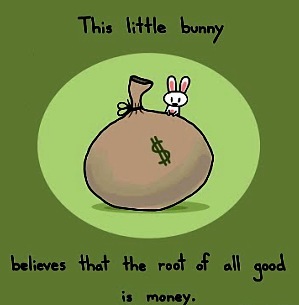 We believe, there is no good or bad..Prosperity, Well Being and Wealth, if it can touch all, is a progressive perception. 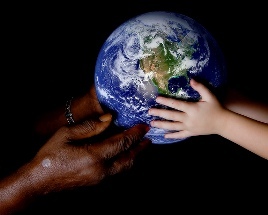 It is only in the rotation of concern for each other and thriving industry, can we have World Peace. Nearly four years ago, inspired by a 'vision', which touched the Universe, we reached out for a bigger platform than, what our limited resources could well afford. Being part of the International Travel Trade, we shared our 'Spiritually Energizing Holidays' with European, American and Indian Travel colleagues. However, it was a long and difficult path, with us suffering a huge dent in our earnings..a struggling bank balance, along with personal n professional mishaps..reducing our Business n Leisure Travel almost to a 'zero' ! 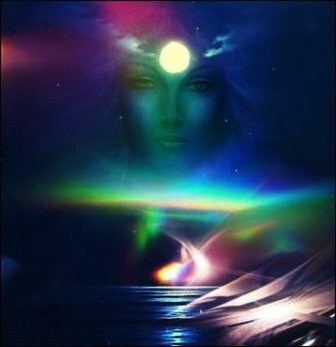 We turned to the Divine within us and took our first step, of introducing our Holidays on our own Websites. A small beginning which held the Promise of Tomorrow. Our very own and known acquaintances, did not stand by us in our endeavor, but there were many unknown, who did stand by us in our mission. Was it the Power of God or was it Blind Faith in the Goodness of our work..we still do not know ..?! It is to these unknown people, we dedicate our work..who without knowing us, responded with so much trust and generosity. There can be no Future without 'Justice' and our Gods in Heaven or Earth, will not let us down. The Past, can only be a learning curve for all of us, the Present a 'Legacy of our Destiny', our responsibility for Today, but it is the 'Future' which must be Loved the most ! 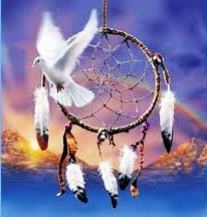 .." If Dreams Catchers for Mankind we must be, then a 'Vision' must have, the Eternity of Tomorrow !" Taj Mahal Agra..India News: " Eyeing A New Dawn in the Desert..Egypt! ", 2011.
" Taj Mahal Agra, India News.." A New Tomorrow, Egypt ! ", 11th Feb, 2011. ..Today, belongs to Egypt, it belongs to the 'young', who have in their peaceful endeavor, shown the World, the vision of Tomorrow. 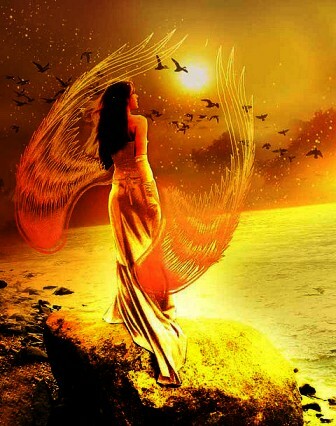 Truelly, the 'Human Soul' can touch any Sky and it is only in our 'Fall', we learn how to 'Fly' !.. As Egypt, carves a new future for itself, we are confident, not only India, but all great Nations of the World, will sing the Anthem of Peace n Progress, at this historical moment, with this ancient civilization of the River Nile. We wish, one n all in Egypt, a 'Learning Journey', ahead !! Taj Mahal Agra ..IndiaNews: " Never Judge a Book by Its Cover! ", 2011.
" Taj Mahal Agra,India News.." Reading the Mystery Line ! ", 10th Feb, 2011. ..As we were going on a spring cleaning spree, we discovered our one time favourite 'Mystery Series' collection of Enid Blyton in the old trunk. 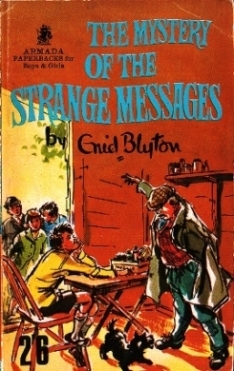 "The Mystery of the Strange Messages"..still, was entertaining and thrilling..in its plot. It was highly humorous in the chapter, when Mr Goon the village policeman, assumes that it was the 'Five Find Outers' (Five children and a dog), who were sending him 'anonymous' messages, to annoy him. After the showdown with them, the children and the police in the end, delve into the 'mystery' and find out the 'mysterious sender', and the plot behind the messages. ..Truelly, in today's time of enhanced technology, loaded innenuedoes and rotating grapevine..we all need to look beyond the covers ! In both our personal n professional life, we need to know the actual facts before, we invest our time n money. The 'truth' is the absolute essential 'keyword', before we commit ourselves and come to any final conclusion. Our childhood leisure reading, can go much beyond entertainment as we grow older..!! Taj Mahal Agra India News: " Dubai Marketing..1988 Memoirs! ", 2011.
" Taj Mahal Agra..India News.." Explore Nepal in UAE, 1988! ", 09th Feb, 2011. ..23rd June, 1988..As I sit here in my home Vidya Niwas, enjoying the winter sun and snow in Moon Peak of the Dhauladhar range in Dharamsala India,..'healing' has been a solace and my companion. 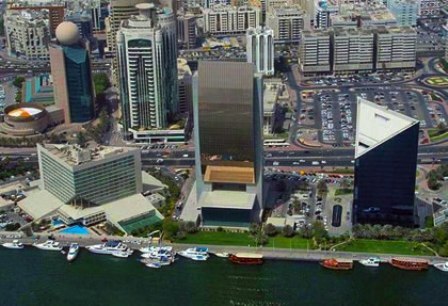 Looking at the old albums of my past days in Nepal, I came across this old pic of Dubai Creek n the Dubai Sheraton. Fresh memories came back to my mind, of the Sales n Marketing trip to the UAE..Dubai n Abu Dhabi. Finishing our R & D of 'Explore Nepal' Middle East Packages, we flew to Dubai for a week. Our sales trip was sponsored by Everest Sheraton, Royal Nepal Airlines and Nepal Tourism. Hosted by Dubai Sheraton n Abu Dhabi Sheraton it was a trip which I keep close to my heart. We were selling 'Nepal'..its Unique Culture, the Wild life Reserve and the Himalayan hospitality of Mount Everest. 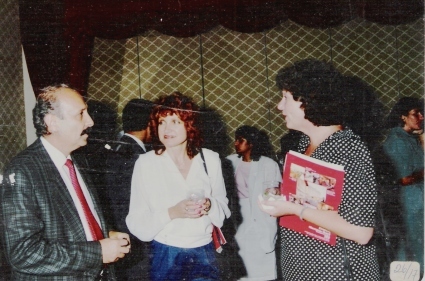 The Press Conference on 24th June, 1988 at the Dubai Sheraton Banquet Hall was attended by prominent Print/TV Journalists along with the Local Travel n Ticketing agents, which was an instant success. With my broken Arabic which, I picked up on my early stint at Dammam,Saudi Arabia, I felt connected with my new Arabic travel colleagues during the FAQ sessions. The next day's newspaper of Khaleej Times, Gulf News, etc carried the preview of the conference in the front page and we were happy it clicked. ..The highlight of the trip was, the interesting talks with the Dubai Tourism board about their future plans of development in the next two decades ahead which would make Dubai as the main Shopping Paradise in the Middle East..when the oil price at that time was hovering around 33-35 dollars a barrel, it made sense as I see it in the 21st century ! ..Our dinner with a prominent Chinese Business family in Sharjah, in his home. The finest Chinese 'home hospitality' we experienced..home food n with chinese traditions. The family ran the oldest Chinese Restaurant and Beauty Parlor. ..Our morning/evening walks in Dubai Creek and the morning Speed boat ride at Abu Dhabi Sheraton at their private beach. ..Was surprised at the greenery all around..palm trees, flowers specially at the upcoming Dubai Golf Club. ..Looking back memory lane, I realise today, that we are all Humans at Heart always..! @copyright..Arvind Gurung..My Personal Travelogue, 2011. Taj Mahal Agra..India News: " An Indian Kitchen! ", 2011.
" India News.." India Food n Festivals ,2011! ", 07th Feb, 2011. In India..any special occasion, is always celebrated with the pleasures of the 'tongue' n the 'taste' ! Whether it be the fiery Desert of Rajasthan, or the White Desert of Gujarat..irrespective of caste, community, climate change,..the warmth of an 'Indian Kitchen', with its heartwarming flavors, will truelly, stay with you always in your 'Asiatic Journey of the East '. ..It is not possible to forget the Gods in any Daily meal or any Festival of India. 'Bhog' (Offering to God), consists of a variety of foods to appease the Spiritual Hand of the Almighty for His Kind Blessings !!
" Food..An Occasion n Place of Celebration..Gujrat India..Click Here ! " Taj Mahal Agra..India News: " Lord Shiva..The Creator n the Destroyer! ", 2011.
" India News.." Shiva in the Mountains ,2011! ", 05th Feb, 2011. 'Lord Shiva',..the indomitable reigning God of the Himalayas. In the mountains of India, Nepal, Bhutan & Tibet..'Shiva', is the Power of the 'Third Eye of the Mind'. In his many manifestations, He is revered as the Protector of the Celestial Beings (Neel Kanth)..as the Wrath of Thunder (Bijli Mahadev)..Savior of the Animal World (Pashupati Nath) and as we all know Him as "Shiva", bound in a Holy Union with 'Parvati', the Mother Goddess. 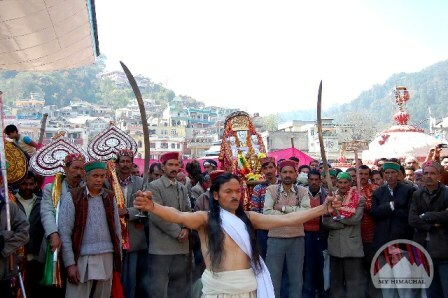 On 03rd March, 2011..'Shiva Ratri' will be celebrated all over India, with Mandi in Himachal showcasing a pantheon of Gods n Goddeses in this auspicious Day. In Dharamshala, it is celebrated with fasting, drums beats n dance, music, visiting the Shiva shrines of Aghanjar Mahadev( Khanyara), Bhagsu-Nag Mahadev (Mcleodganj) n Deveshwar Mahadev (Dal Lake)..not to forget the 'Bhang Ki Thandai'(Canabis Drink with spices,dry fruits n milk)!! Wishing all our Global Family " HAPPY SHIVA RATRI, 2011"..May the Lord protect Mother Earth n create Peace n Harmony..Namaste to All ! Taj Mahal Agra..India News: " ...Its a Rich Man's World ! ", 2011.
" India News.." Chicken Xacuti..A Sweet Recipe ,2011! ", 04th Feb, 2011. ..From ancient times or as per the modern day 'mantra'..we are not too sure..when this happened ?! 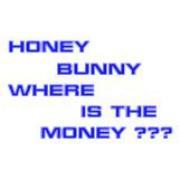 With a wise nod of the head, it is said, "There is nothing more sweet than 'honey', nothing more inviting than 'money' and ofcourse nothing more enjoyable than being 'funny' !! Put all three together and it is the best 'recipe' , for a stress free, rejuvenating 'vacation' in any corner of the globe. ..In Himachal, 'bee-keeping' is now a maturing occupation for many..An enjoyable past time, a lucrative meal time and very often, a good nature encounter for many of our global guests. ..A good sweet tongue, with money, doing all the talking and a good sense of humor..best cuisine for tiding many a global storm ! 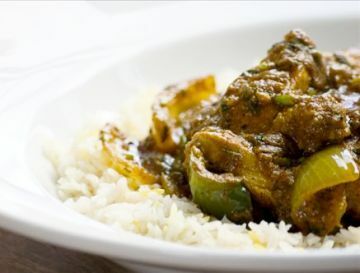 ..Our own favorite recipe for having a taste of 'Spicy GOA',..Honey Glaced 'Chicken Xicatu', flavored with Indian marinade and tangy tamarind 'puree', accompanied by 'basmati' rice and a garnish of lemon rind n grated coconut. Taj Mahal Agra..India News: " Loving India ! ", 26th Jan, 2011.
" India News.."A Traveling Pen ,2011! ", 01st Feb, 2011. The only reason why we like to map our thoughts into 'diary notes', is simply because,..in solitude and in company, on the 'web world' and otherwise, we can at any moment, share some of our precious moments with one n all..
..26th, Jan, 2011 ..India's Republic Day..our Nation..our Motherland ! The 'War Memorial' in Dharamsala, India, strikes a sentimental note in many,..have we as a country stood together, have we been deserving of the dreams, of all those who have made this 'glorious day'..possible for us ??.. ..27th Jan, 2011..A Cold chilly day in Dharamsala, can be very difficult with 06 dogs, limited kennel homes and nobody to 'help'! The pets love their hot food and can brave any 'climate change'..for a brisk morning walk up in the hill..tough on our hands, but its also brings back the the color on our cheeks, when they reward us with their overwhelming affection ! ..28th/29th Jan, 2011..Old friends in our home..getting back to younger times, with some energizing home made juices, flavored to our own palate and then playing couch potato, watching TV with Indian snacks..the Mountain is so tall, the world below looks small..technology brings the World to our doorstep and suddenly miles don't matter. With so much happening all around the Globe, it makes you wonder though,..Will India stand tall in the Global vision of a progressive World, which can offer opportunity to the 'rich' n the 'poor', to follow their 'Dreams'..!! ?? Taj Mahal Agra..India News: " The Magic of Gold..Zari, India, 2011 ! " " India News..Spinning A Golden Dream, Surat, Gujarat-India ,2011! ", 30th Jan, 2011. 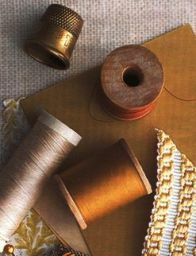 The lure of Gold n Silver looms of India, spinning sheer artistry exotica on traditional Indian and Western yarns,..has fascinated many from time unknown. The open shores of India brought in the Portugese, French and the British Empire which favored time in India..the Indian laces of Gold n Silver..'ZARI', ruled the hearts of many fashion houses of the European Courts. 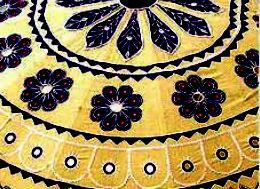 The 'Zari'(gold thread embroidery work) of Surat in Gujarat State of India, is one of the Ancient Art and Handicrafts. This hand woven Art form can be traced back to the Mughal Dynasty in Travel India. 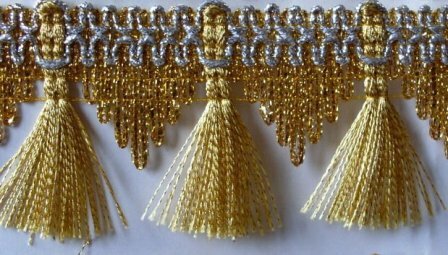 The principal types of products are real and imitation gold and silver threads, weaving 'magic' to the embroidery of Chalak, Salama, Kangari, Tiki, Ring and Katori. 'Kinkhab' and 'Zari' border weaving find their exclusive enhancement in laces, caps, turbans, sarees,sacred Chadars n Chunnis in the Holy Shrines of India. The Indian Fashion Bazaar, is forever splendid with intricate 'Tanchoi' or silk brocade work, woven on silk cloth and decorated with the designs of birds, animals, leaves, fruits, etc. The High Fashion Eye of India..today, in the 21st century, has focused the trade mark of India Craft.. 'Zari',on many exclusive accessories, which travel all around the Globe ! Taj Mahal Agra..India News: " Hazards of E-Commerce..2011 ! " " Building Global Trust..Breaking Barriers ! ", 22nd Jan, 2011. Our recent furore into 'E-Commerce'- Travel Trade, has been a learning path, into the ways of the world, complete with its rewards n pitfalls. Some of our web clients have been absolute 'angels' in their commitment to their reservation with us, for our Travel services. They will be our friends for lifetime ! It takes all to make a 'world'. Recently, and this has been happening very often, we received a 'cancellation' for a booking in February/March, 2011 after full confirmation from the client. We were disappointed, after being asked for our bank details, for pre-payment and after offering all information on our destination, the web-client merrily cancelled her booking on the pretext of changing her mind, although she is still travelling to 'Dharamsala' and rest of India ! 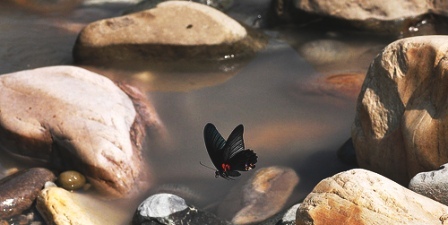 ..When you are not face-to-face with your client..there is very little to discriminate between a 'genuine' client and those who are merrily 'fishing' in the WEB Pool ! 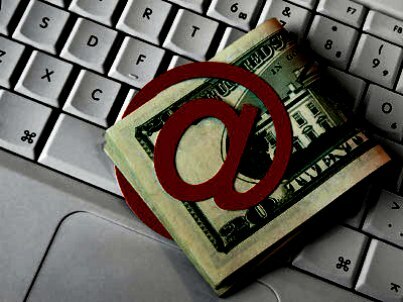 Not withstanding our 'faith' in the future of E-Commerce, which is here to stay..we would still suggest the Art of Precaution. ! Be very discreet in giving any sensitive information, which can arouse suspicion as to which purpose it can be used, and not always in your favor. Trust is a Keyword..but like they say..A Stitch in Time Saves Nine !!" Taj Mahal Agra..India News: " Quizzing Moments from my Dairy, Arvind Gurung..2011 ! " Taj Mahal Agra, India :" An Ocean of Silence ! ", 17th Jan, 2011. There can be no bigger 'ocean' in your life to wade through, than that of non-communication between parent and child. Any close relationship needs the endorsement of care, respect and concern from both parties. No relationship irrespective with whom, is free from expectation as, we are only ordinary 'human beings' in our daily lives. My relationship with my parents, as I look back now, had so many empty spaces..My wife Sangeeta and my children, along with a few precious friends, my pets, my garden and my 'SHIVA'..gave me a 'healing' , which was a balm to my life. A troubled association it always was,..there was no participation in my career n growth from them. 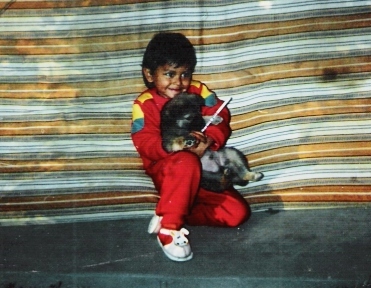 At 20, I was almost on my own taking care of my needs and seeking my own 'destiny'. Even after marriage, they were never there, when I became a proud father on two occasions..a rarity in Indian families as, the augering of the family tree, is considered auspicious. 1993, brought us to Taj Mahal,Agra India in Dharamsala from Nepal by God's divine wish. Establishing our firm, 'Dharamsala Tours and Travels' was fraught with moments of struggle, anxiety, practical problems and financial constraints. When we took over our land in Kandi village..it was barren and uncared but by God's grace we constructed 'Vidya Niwas'..A Home for many now, all over the globe, who like us found their inspiration in our difficult achievement ! Construction was a challenge, on this uneven piece of land, together with the 'young minds'of a growing family, which demanded attention and care. All through whether our problems were financial, emotional or practical, there was never any assistance or even a gesture of encouragement from them. Today, it is a strength within me that I achieved this with my honest endeavor with no financial help from my father and mother todate. However, the Heart like I said has its own expectation and beats with its own song of life. It can be hurting when all your efforts to come close are rebuffed,..It is no surprise now, that after my mother's demise, my father has already decided to go to South Africa with my sister, without even a talk with me..My parental home keys being given over to my neighborhood relatives ! ..The Taj Mahal Agra is a living monument of a relationship which came from the soul and even while living in two different worlds, had no distance..
..Distances come from the Heart and cannot be measured as so many believe, by miles and stones but by sharing 'communication' and 'respect' for each other's welfare! ..When ever you travel to Taj Mahal Agra in India..always remember the beauty of spiritual communication !! Taj Mahal Agra News..For a Game of Chinese Whispers..Click the Graphic below !" Taj Mahal Agra,India News: " Walking towards the Eternity of Tomorrow..2011 ! " Taj Mahal Agra, India News:"Shrines of Faith..Bodhgaya, Bihar, 16th Jan, 2011. ..There are many historical episodes which are an interesting read in Taj Mahal Agra, India.., Gautama Buddha moved towards the village of Senani where, he was offered rice milk by a Brahmin girl, Sujata. Accepting from a grass-cutter a gift of kusa grass for a mat, the Bodhisattva took a seat under a pipal tree facing east. Here he resolved not to rise again until enlightenment was attained. "Here on this seat my body may shrivel up, my skin, my bones, my flesh may dissolve, but my body will not move from this seat until I have attained Enlightenment, so difficult to obtain in the course of many kalpas". ..The ancient Seat of Enlightenment, under the sacred 'bodhi tree' in Bodhgaya, Bihar is today the holy site of the Maha Bodhi Temple..During Fairs and Festivals of India, where many come to see Taj Mahal, Agra, this holy shrine is also visited by many, blessing us all with the 'eternal purity of vision', for the future of the World! Taj Mahal Agra..India News.."Walk with the 'Buddha'...Click here ! Taj Mahal Agra News: " Bringing together the 'Tenses',Crystal Mountain, Arizona,USA..2011 ! " Taj Mahal Agra News :"Healing, Mountain of Arizona, USA, 13th Jan, 2011. In pain and in joy, the 'Healing Crystal Mountains' of Arizona, from time unknown, have put the Future of the 'Tenses', together, for many a 'Traveler' ! Whether on Taj Mahal Agra, India travel or, anywhere around the globe,..the strong shoulders of the Mountain, have given 'solace' to many. 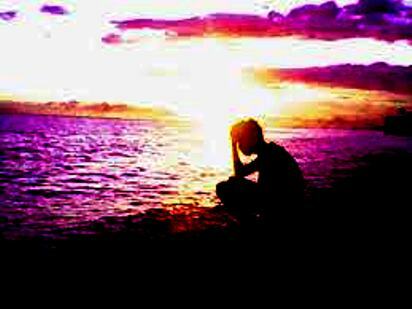 Today,..the tragic incident of senseless violence in Tucson, Arizona,USA has left many in need of 'healing' n 'recovery'. We wish for them the 'Energy of the Crystal, Clear Mind..Warm Heart and Healthy Body to endure this grief. It is important to learn from the Past, to Live in the Present and to think years ahead,..towards a better Future for our'Young' ! Taj Mahal Agra News: " Colors of Madhubani, Bihar..2011 ! " "Taj Mahal Agra, India News..A painted Canvas, 10th Jan, 2011. Your Taj Mahal Agra,..India travel can be a lifetime learning experience in the traditions of ancient India Culture. 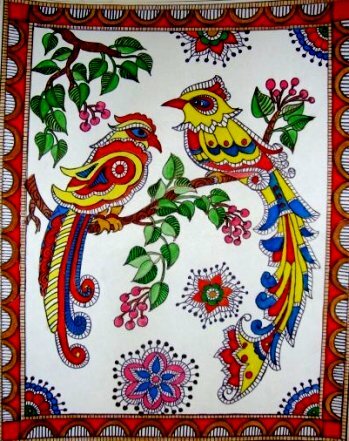 The ethnic Sujini Embroidery of Bihar uses old clothes for the inner stuffing of colorfully embroidered quilts and cushions. The Khatwa, is the original applique work of Bihar. This art style, is used to craft decorative tents, canopies, shamianas, etc. Both forms of these old art, depict the life style of the local natives living in Bihar , India. Taj Mahal Agra is famous for its intricate Art n Craft.Madhubani, the native of the region of Mithilanchal is a creative folk painting done traditionally by the women. The natural colors are made from vegetable dyes and pigments form flowers,plants, spices, charcoal and local minerals. Today, these ancient art forms of Rural Bihar depicting their life style in the rural villages, have their own appeal and taste to International visitors, on their Taj Mahal Agra tour program to India.